All of the below information comes directly from job reviews written by Roche employees based on 16 reviews. 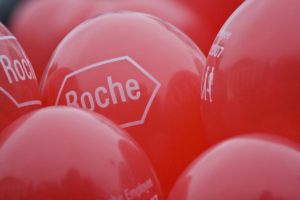 Roche is a global pioneer in pharmaceuticals and diagnostics focused on advancing science to improve people’s lives. The combined strengths of pharmaceuticals and diagnostics under one roof have made Roche the leader in personalised healthcare – a strategy that aims to fit the right treatment to each patient in the best way possible. 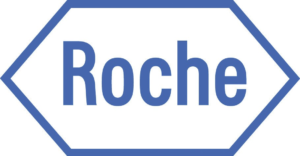 Roche is the world’s largest biotech company, with truly differentiated medicines in oncology, immunology, infectious diseases, ophthalmology and diseases of the central nervous system. Roche is also the world leader in in vitro diagnostics and tissue-based cancer diagnostics, and a frontrunner in diabetes management. Founded in 1896, Roche continues to search for better ways to prevent, diagnose and treat diseases and make a sustainable contribution to society. The company also aims for improving patient access to medical innovations by working with all relevant stakeholders. Twenty-nine medicines developed by Roche are included in the World Health Organization Model Lists of Essential Medicines, among them life-saving antibiotics, antimalarials and cancer medicines. 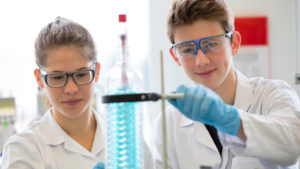 Roche has been recognised as the Group Leader in sustainability within the Pharmaceuticals, Biotechnology; Life Sciences Industry eight years in a row by the Dow Jones Sustainability Indices (DJSI). The Roche Group, headquartered in Basel, Switzerland, is active in over 100 countries and in 2016 employed more than 94,000 people worldwide. In 2016, Roche invested CHF 9.9 billion in R&D and posted sales of CHF 50.6 billion. Genentech, in the United States, is a wholly owned member of the Roche Group. Roche is the majority shareholder in Chugai Pharmaceutical, Japan. Working at Roche means working at the forefront of innovation. Our Diagnostic division is the world leader in in-vitro diagnostics, our Pharmaceutical Division is the No. 1 supplier of cancer medicines. Every day is different with unique cases to answer, as well as having a great team that is easy to talk to. You get to see a lot of what takes place in the department, as you will work with a lot of different teams. Varied opportunities and lots of support. Feels satisfying to make step by step progress to get a task done. The people - everyone is so friendly and supportive! Flexible - if you need to book a doctors appointment or need to stay at home for a builder to come round you are allowed to work from home as long as your work permits it. Responsibility- as soon as you join the company you are trusted with highly responsible tasks. Cross functional working with legal, medical, marketing and supply chain- this has allowed me to develop my knowledge and skills by learning from other colleagues. I get to work with all business areas and with most of the products which is challenging but means every day is different to the next. I get a lot of support from my manager and team. Great knowing you are contributing to helping improve patients' lives. Explain the reason behind your extra curricular/ internships and how that can help with the job applying for. Prepare. Know your company and what they are focusing on at the time of the interview. Ensure you have researched the role and have evidence to back up why you would be suitable. Use the S.T.A.R technique for interview responses. Research the role and make sure you have an understanding of what you will be working on. Show your interest in the role and make sure you show relevant skills. Make sure to do research on the company, so you can say why you are interested in working for them. Highlight qualities you have that you think will help with the role and fit with the company ethos. Make sure you ask questions, as it shows your interest, but don't ask questions for the sake of asking. Think of plenty of situations where you have shown Roche's core key values (integrity, courage and passion) as well as core competencies such as leadership and teamwork - you will be asked to provide examples of these. Persevere, make time, show your personality through your application. Let your personality shine through. Be honest even if it means struggling to answer one of the questions in the interview. Prepare to be asked about personal experiences where you have shown team work, decision making on the spot, response to confrontation, communication skills, a time when you have got so lost in doing something that you forgot about the time. Be natural and relaxed , even make a joke or two! Target your application to the job role and make sure you include a cover letter. Prepare as much as you can beforehand. If you are doing a presentation, make sure you have rehearsed but not to the extent that it sounds unnatural. Always ask the company questions too as it is about seeing whether they are a good fit for you too. Be calm, revise your statistics knowledge and think about your behavior in team situations. Make sure you gives examples of competencies that are relevant and required for the role. However, make sure examples are of a varied nature (i.e. from uni, work, extra-curricular). Be prepared to be asked questions based on all competencies and to sometimes offer examples of things you may have done differently / how you could have improved. Don't dismiss an opportunity just because you do not think you 'tick all the boxes' on the job advert; Roche seek potential. Try and get as much of an understanding of the market place as you can i.e. who are Roche's key customers? Provide examples where you have demonstrated the skills required as part of the job role. Build as much experience in the pharma sector through internships and other jobs before applying, its tough! Prepare and practice problem solving before, interview was not normal, I had a 5 hour assessment day including problem solving, scenarios and presentations. Don't limit yourself to one particular role, usually the primary skills and experience are the same for the different roles. Also, you don't require a science related degree to apply. Ensure you complete research on the company and operating market prior to the interview. Be yourself. Don't be put off if you aren't overly familiar with the company. You learn who they are and what they do on the job. However do come with some knowledge. Be yourself, I was asked a lot about team work. We are a close team, so someone who is a good personality was key. Leaders in the R&D field for Pharma. The company has great core values and values its employees. 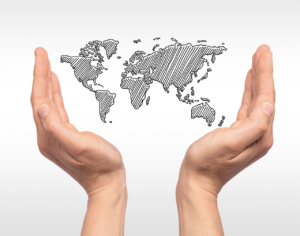 As the company is global you can feel like the work you're doing means nothing in the big picture. The company cares a lot about employees and it is a fantastic company to be a part of. There should be a big overview at the beginning to explain what all the departments do, what their acronyms mean, and how they link together in the company. The culture - positive vibe around the building. We are encouraged to work on our development plans and career goals. Great ethics, vision and people practices. Job security - lots of redundancies since I have joined and increase in outsourcing.